Kangana Ranaut vs Karni Sena: Is 'Manikarnika' turning into another 'Padmaavat'? That was a rhetorical question. Yes, it is. January 2018 saw politics and cinema fuse together in the most uncouth manner — there were frenzied talks of bloodshed, decapitation threats, even a self-immolation promise thrown into the fiery mix, just to stop a period film from hitting the theatres. Come January 2019, and the rhetoric is repeated. 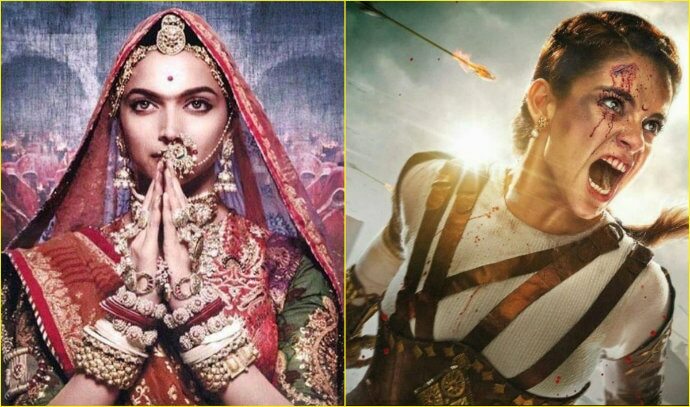 Deepika Padukone’s Padmaavat and Kangana Ranaut’s Manikarnika: The Queen Of Jhansi are similar in more ways than one — if the grandeur and scale at which both were shot, and the simple fact that both draw from nationalism-evoking historic events which, more importantly, involve two strong women characters, weren’t enough, the Karni Sena angle sure is. For the uninitiated, here’s what happened. On Thursday, 17 January, reports of a protest against the release of Manikarnika did the rounds. It was alleged that the protest was led by the Maharashtra wing of the Karni Sena, who believe that the film depicts an illicit relationship between Rani Laxmibai and a British officer. In addition, the group was also vehemently protesting against a portion of the film where the queen is shown dancing to a special number. It is against traditions, they said. And here’s where the discourse changed course. Clearly, the Karni Sena is not used to being threatened in response to their threats. That could probably be attributed to the fact that they are not used to being taken seriously either. By anyone. When they threatened to burn down theatres before Padmaavat released, their bone of contention was an illicit relationship they presumed was being shown between Rani Padmini and Allauddin Khilji. We’ve watched Sanjay Leela Bhansali’s magnum opus (in both 2D and 3D) — and there was nothing. Then they went off to critique Rani Padmini’s midriff-bearing sartorial choices in the song Ghoomar, which was corrected in CGI. Yet, they continued to crib like the boy who never got to bat in the gully cricket match. The film released. The audience queued up, just to see what all this fuss was about. Most were left disappointed. In the case of Manikarnika too, they seemed to be going with the same plan — until Kangana threw them a curveball. So if they do, then Kangana will ‘destroy’ them — either by riding a horse into their office in true Rani Laxmibai-style or by retelling that story of how she and Hrithik Roshan broke up. And if they don’t, then, well, the film will release like any other film. So, yeah. The sky is overcast with empty threats. We’re expecting a heavy downpour of historical facts thrown at us from different sides. But Friday looks sunny for Kangana Ranaut.